For so long, we as Zelda fans have expected certain staples of the series to show up in each new installment. Some of the more notable staples are certain items. 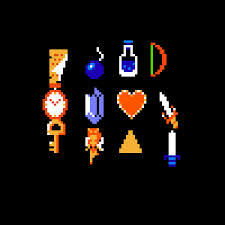 The boomerang, the bow and arrows, bombs, and of course the main weapon, the sword. But is it time for new items to become a mainstay? Should there be some brand new weapons that are cool enough to stick around for over 25 years like these classic items? Join the discussion after the jump! Hyrule Warriors has proved that the possibilities for revamping of the classic Zelda weapons are high. The bombs, hookshot, boomerang and more worked in neat new ways, especially with item power-ups. Plus, the main series games often manage to find great ways of changing up their mechanics, like with Twilight Princess‘ Gale Boomerang. It is not like the usual staple items are stale. 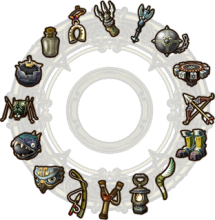 That being said, perhaps it is time to start re-using recent items and weapons, or bringing in some brand new ones that could have several uses, to replace some of the older items. For example, after Phantom Hourglass, which happens to have been the least innovative when it comes to new items, the whip became rather popular. It showed up again in Skyward Sword, and may appear again in Zelda Wii U, if there are more cool uses for it. Also, this applies to the main weapons of the series, which are all swords. Perhaps a new game, or more likely, a part of a new game, could have Link, or whoever the hero is, using a new main weapon. Or, like in Hyrule Warriors, the main weapon could be one of multiple things. The sword may be a staple, but as is apparent from the quotes about, and trailer for, Zelda Wii U, the way we’ve seen Zelda for the whole series may not be the way we do on Wii U, including the items and main weapon. What do you guys think? Are there any less-popular items that you think should become staples? Are there any classic items that you think are worth putting aside for awhile, to make room for something new? Leave a comment below!